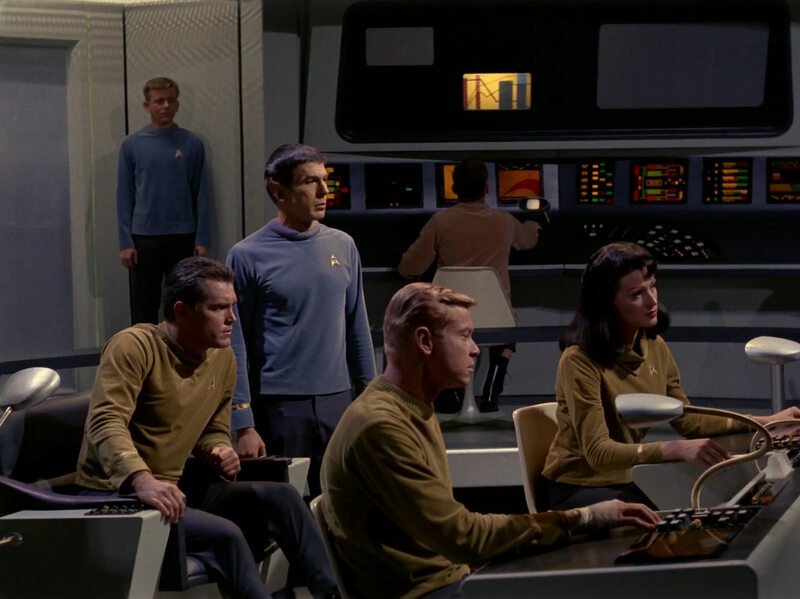 50 years ago today, on September 8, 1966, the very first episode of Star Trek, "The Man Trap", aired on NBC. Although the TV production was ambitious and accordingly expensive for its time, no one would have anticipated the long success story of the franchise. Star Trek is the yardstick for intelligent science fiction on television still today. Leading scientists and engineers tell us Star Trek has been an inspiration in their career. And looking beyond the merely scientific or technical aspects of the show, to this day Gene Roddenberry's creation is unrivaled within the genre as a vision of a bright and desirable future. We could say that Star Trek's positive prospect is so powerful that no television producer would dare to enter a competition with the clear market leader in the field of utopian science fiction. Well, maybe this is just because dark and technophobic settings appear as the more promising concept, especially in the age of serialized television, as they seem to offer more potential for ongoing conflicts and for action. Anyway, not only with regard to its popularity and longevity but also because of its unique philosophy Star Trek has an exceptional position among the science fiction franchises. Yet, triumph and decline were always closely connected in its history. After the budget had been cut down and the third and final season of TOS aired in the "Friday night death slot" in 1968, the broadcast of the series in syndication since 1969 turned out an unprecedented success. The hype about the first Star Wars movie in 1977 let appear Star Trek very dated, yet this was the main incentive to revive the franchise, this time with a big budget on the big screen. Star Trek: The Next Generation first aired in 1987 and quickly garnered high praise from fans and critics alike, but the recipe was exhausted after as many of 18 years in which there was always at least one Star Trek series on air - the unemotional cancelation of the so far last series Star Trek Enterprise in 2005 went largely unnoticed by the broader public. The reboot films produced by J.J. Abrams brought back the excitement, but are criticized not only by purists because of their action-ridden and superficial stories. It was never easy to make a Star Trek series or movie. But it was extremely hard each time to get Star Trek back on track after a flop or a wrong turn. Star Trek can always draw on its legacy, which may and should serve as the foundation for everything new to be created. Its arguably most cited asset is the vision of a future without war, without poverty and without racism that sets it apart from other science fiction. But how strong is this vision actually in Star Trek, then and now? And how much of Roddenberry's original idea is left after all the changes of the past 50 years, the ones in world politics as well as the ones in the world of television productions? These days, columnists like to muse about what Star Trek would be if Gene Roddenberry were still alive, which they interpret in a way to either praise or criticize recent developments. Would Roddenberry like the Abrams movies? A gay Sulu? 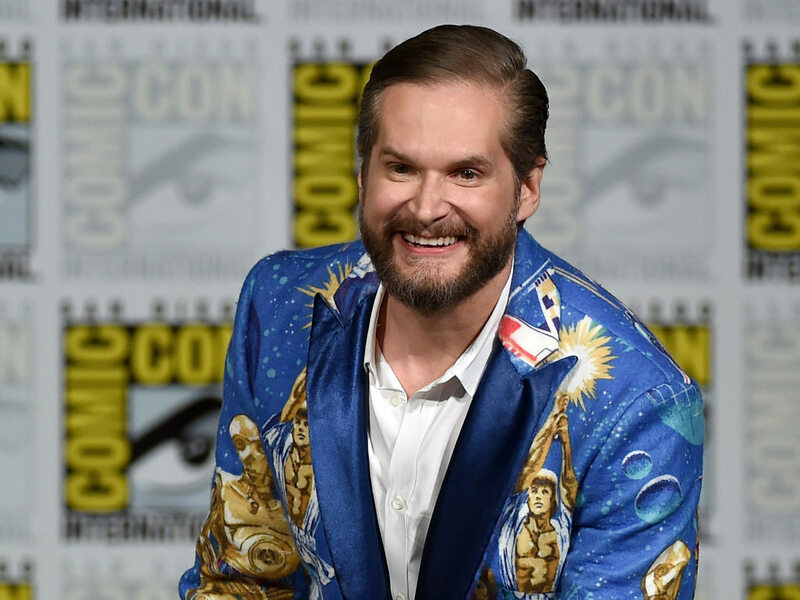 Bryan Fuller's still unaired "inclusive" series Star Trek Discovery? I don't like to engage in such speculation, so I rather look back at the political messages I see in Star Trek, and ahead at what I expect from it in the future. It is true that the concept of a peaceful and egalitarian society is like a thread running through Star Trek and can already be found in The Original Series. The implementation of the idea in TOS, however, is not by far as consequential as the impression frequently created in nostalgic retrospectives (in which the alleged "first interracial kiss on TV" in TOS: "Plato's Stepchildren" is commonly cited, although it is neither true nor was such a big deal as is asserted today). We have to keep in mind in which era TOS was produced. Gene Roddenberry could not afford to disgruntle the studio bosses by including too many non-Caucasian or non-male characters in leading roles (they allegedly criticized "The Cage" for having both an alien and a woman in the cast). In the course of the series most women could not achieve much more than becoming Kirk's flirt. In the worst case they ended up as victims of the female gender cliché, such as Marla McGivers who falls for Khan's macho charm in "Space Seed". Likewise, Roddenberry just couldn't offend Christians and abstained from anti-religious statements in the series, although we can assume he already was an atheist at the time. The world of TOS is cautiously secular and only few episodes such as "The Apple" contain criticism of how a "false god" impedes the free and natural development of a society - but without referring or only alluding to real-life religious communities. Furthermore Roddenberry himself was too closely connected with the military to criticize the warfare of the US in the 20th century or of Starfleet in the 23rd century - although the engagement of the US in Vietnam would have given him a motive. It is noteworthy that usually Captain James Kirk is identified as the character who stands for America's establishment of the 1960s. His willingness to compromise while he maintains a credible threat of force is a trait that he shares with President John F. Kennedy (not to mention his romantic affairs ;-)). Speaking of Vietnam, Kirk's role to represent the reason of the state in the Cold War becomes especially clear in "A Private Little War", in which he supplies a so far pacifist people with weapons just because the Klingons support their enemies. The counter-culture, the new and liberal way, on the other hand, is very obviously embodied by Spock in "The Way to Eden". Here, the first officer sympathizes with the "space hippies", who disobey the rules laid out by the captain. However, this is not yet the whole truth. Kirk is only pressed into the role of the stubborn bureaucrat, while Spock appears more open-minded to the "space hippies" just because of his somehow colorful alien heritage. "The Way to Eden" exploits a cliché. Actually, on many other occasions in TOS Kirk is the one who seeks unusual solutions (by the political and moral standards of the 1960s), while Spock is bound to follow his logic. Nichelle Nichols as Uhura in TOS: "The Naked Time"
Picard describing Star Trek's vision to Lily in "First Contact"
We can say that TOS was ahead of its time, but it just as well necessitated many concessions to its time. In fact, each Star Trek series is very much a reflection of its time. 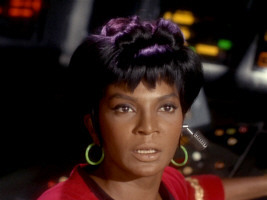 TOS was created under the impression of racial discrimination in the 1960s and commented on it in episodes such as "Let That Be Your Last Battlefield" but most notably with the character of Lieutenant Uhura, who became a symbol for a society without racial barriers. It is legendary how Dr. Martin Luther King convinced Nichelle Nichols not to quit the show. The racial issue still existed in the 1980s but was not so much in the focus of politics and media any longer. 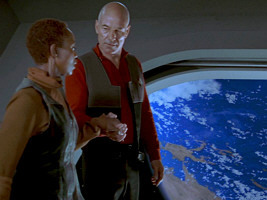 Instead, Star Trek: The Next Generation tackled the problem of terrorism ("The High Ground") and the discrimination of sexual minorities ("The Outcast"), among many other topics. TNG exercised itself in political correctness and various forms of critique of capitalism and of the military. To name just one example, it would have been unthinkable in the 1960s to insult a US military uniform the way Picard did in "Encounter at Farpoint": "I agree we still were [savage] when humans wore costumes like that, four hundred years ago." (In the particular example the uniform is that of Oliver North, the criticism of whose dealings is justified. But few people may have noticed that tip of the hat.) 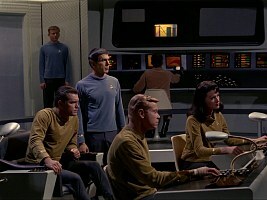 Overall, it appears that Gene Roddenberry used his influence on the producers and writers to incorporate more of his utopian vision into the first two seasons of TNG than was possible at the time of TOS. Although it may have been easier anyway because it arguably fell on more fertile ground in the 80s and 90s, TNG is the more consequential depiction of a utopian human society than TOS. Captain Picard's statement from "Star Trek: First Contact" has become something like the credo of a better future: "The acquisition of wealth is no longer the driving force in our lives. We work to better ourselves and the rest of humanity." As he says this he almost breaks the fourth wall. After Roddenberry's death in 1991, DS9, Voyager and Enterprise generally continued in the same vein as TNG. The Prime Directive and other noble goals of the benevolent Federation persisted but they were tested more often. Two Deep Space Nine episodes are representative of this trend - in a negative and a positive sense, respectively. In "For the Uniform" Sisko hunts down the traitor Eddington and poisons a whole planet just to apprehend the man, a war crime that apparently remains without consequences for him. In contrast, the decision to cover up the murder of a Romulan diplomat for the greater good, to make the Romulans join the alliance against the Dominion, in "In the Pale Moonlight" leaves him with the appropriate bad conscience. DS9 repeatedly showed how the utopian society of the Federation failed to live up to its self-imposed high standards. One of the most revealing episodes in this regard is "Let He Who Is Without Sin..." with its "New Essentialists", a strange blend of eco-terrorists and law-and-order conservatives. In this and many other DS9 episodes there are no clear real-world analogies, indicating Star Trek's emancipation from the need to address real-world issues, and if only in an encrypted fashion. Yet, I take the frequent challenges to the values of the fictional Federation in DS9 as a reminder that in our real world human rights must be preserved and are not a matter of the circumstances, even in a time of worldwide terrorism. The double feature DS9: "Homefront/Paradise Lost" was made well before 9/11, and it is scary how it anticipates today's overreactions to terrorist threats. 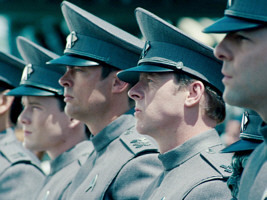 Military gray in "Star Trek Into Darkness"
The recent past and specifically the three Abrams movies did not seem to contribute much new or much different in terms of the Star Trek philosophy. I don't think the reason is that Abrams and his crew were unwilling to learn and understand how Star Trek and how the world of the future works. Rather than that, the new movies, just like some of the Prime Universe movies before, were designed to bring action to the screen in the first place and not musings about the state of humanity. Yet, we may make out differences between the philosophies of the new and the old Star Trek. The society in the "Abramsverse" appears to be more callous and more militaristic, which is also reflected in the set and costume design. The tone of conversations is harsher. Already before Nero destroyed Vulcan, Gene Roddenberry's vision had cracks in Abrams's re-imagined Star Trek. And even the fundamental principle of Star Trek that every society, every human or alien being and also every artificial lifeform is encouraged to "exceed their original programming" (as long as they don't obey "false gods") is challenged by the concept of destiny that pervades this universe. Overall, it seems that the three latest Star Trek movies are less liberal and more conformist, not only in terms of the stories, the action and the style, but also of the philosophy. 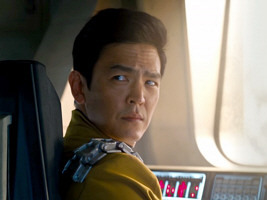 John Cho as Hikaru Sulu in "Star Trek Beyond"
Star Trek has shown us a world without war and poverty and it has gradually established equality, by putting black or female characters in leading positions. Yet, a gay character among the cast was missing for a long time. Homosexuality only found its way into the stories in the form of allusions such as in TNG: "The Outcast" or ENT: "Stigma". 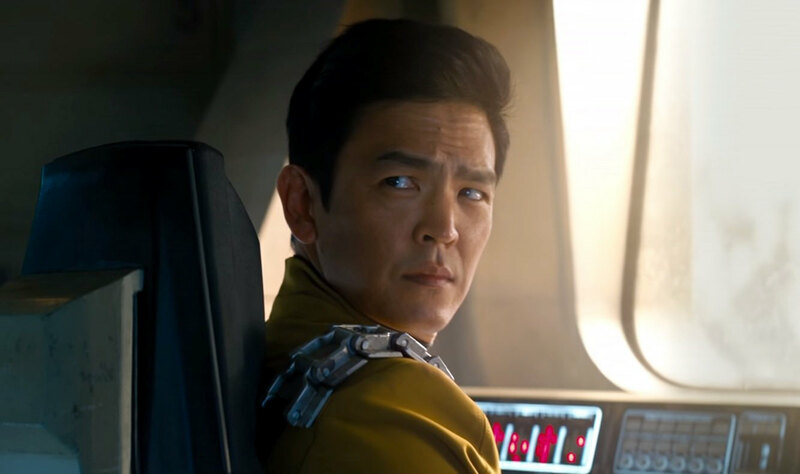 As late as in 2016, right in time for the 50th anniversary, it was revealed that Sulu (at least the one from the Kelvin Timeline) is gay and that the new series Star Trek Discovery by Bryan Fuller will be "inclusive" and will have a gay character. Compared to other TV series, it has really taken Star Trek a long time to finally close this open issue. On the other hand, being homosexual should be a non-issue in the utopian world of the Federation and would not have a comparable impact as the coming out of a gay person in a close-minded society. It could come across as contrived in Star Trek if not handled with special care. It is not a secret that LGBT activists put much hope in the new series. But they should keep in mind that Star Trek still isn't meant to be a political platform in the first place but a science fiction show. Something of note in TOS as well as TNG is that these two series not only tried to be multi-ethnic but also multinational. The legend goes that the Pravda complained that no Soviet citizen was among the crew of the original Enterprise, and that Gene Roddenberry created the Russian character of Chekov in response. The producers of DS9, Voyager and Enterprise, however, increasingly forgot about Gene Roddenberry's idea of a united humanity. This sad development culminates in Star Trek Enterprise where the United Earth sends Enterprise NX-01 with an apparently all-American crew (plus one Brit and one Vulcan) into deep space, to make first contact with aliens. Considering that Star Trek is a worldwide phenomenon, it shouldn't have such a strong national bias, which is not only present in the crew composition but just as strong in references to historical events, holidays, folklore, literature or food. We can only hope that for Star Trek Discovery the producers and writers will broaden their horizon and create diverse characters and stories without a gender bias, without a racial bias but also without a national bias. 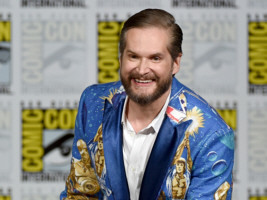 Bryan Fuller, co-creator of Star Trek Discovery and "new hope"
What should the political message of Star Trek be like in the future? It may be a bit late for this realization considering that I neglected the distinction in this article, but Star Trek's involvement in this regard is twofold. On one hand, we have the depiction of the fictional world of the Federation. This is relevant as a political statement because the Federation means nothing less than a possible (and in the case of Star Trek, overall very desirable) future of humanity. On the other hand, there are real-world issues that are transferred into the science fiction setting and serve to comment on the present state of humanity. The example of gay rights demonstrates that the two ways to make a political statement often need to be handled very differently. Regarding the fictional world of the Federation (in the 23rd century as the next series Discovery is concerned), I think that Star Trek should remain true to its own legacy - not to someone's new interpretation of Gene Roddenberry's vision, not to activists who project their topics into the series, but rather to Trek's own recorded history. What matters to Star Trek's philosophy in the first place can be found in over 700 episodes and 10(+3?) movies. Not everything is set in stone. Including a gay character and perhaps a bit more profanity should be a minor issue, as long as the new series recaptures the spirit of TOS, such as the curiosity and open-mindedness about the new and the alien. The inclusion of real-life topics in stories may pose a problem in Star Trek Discovery because its format won't be episodic. This is a pity because I usually liked Star Trek's stories with relevance to our time, although some innuendos did not work out. For Star Trek Discovery I expect an intelligent story in the first place, a story that makes sense and a story that, if it should have a (political) message, gets it across without finger-wagging. And although it is probably the most unsettling problem of our time, I hope the Discovery won't be chasing terrorists for 13 episodes because we've already had that and on television the topic is quite exhausted. I think the development of the real world should keep Star Trek writers busy for a long time. So here's to the next 50 years!